Belgrade Montana’s newest school, Saddle Peak Elementary, is nearing completion. With a projected project completion date of June 28, 2013 Martel Construction is busy installing finishes and making final adjustments. Pictured here is the newly painted railing at the Classroom Pod Stairs. 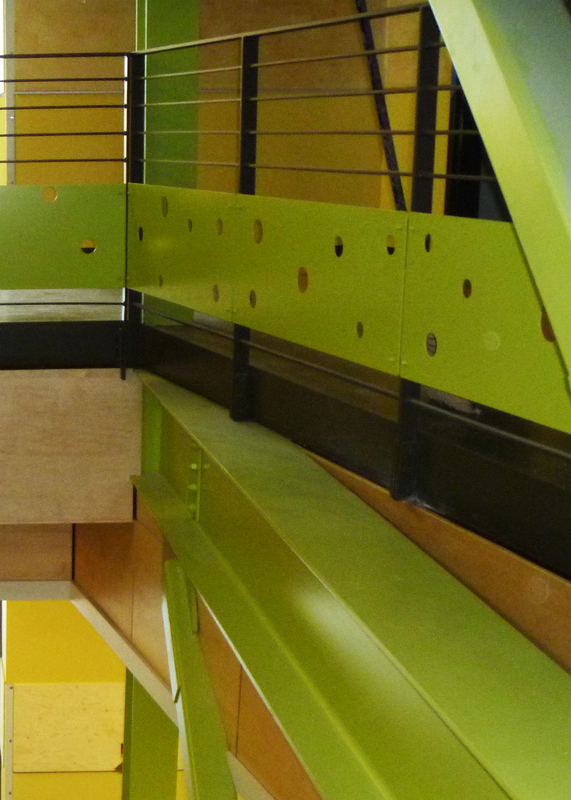 Two of these colorful and playful stairways are built in the school, one at each of the classroom pods. In conjunction with natural light from clerestory windows above, these central building elements create connection between floors and between classrooms grouped around them. Hallways and classrooms will be filled with kids this Fall. Up and Up and Up!